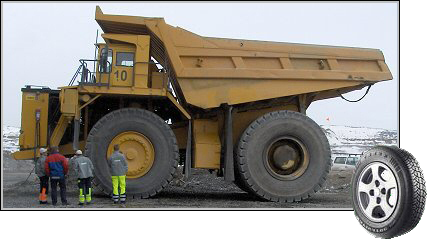 Although Tyroseal is suitable for all tubeless pneumatic tyres our Heavy Duty grade sealant is specifically developed to handle the extreme operating conditions endured by these larger vehicles. Our technical team in the UK works together with technicians and operators individually assessing requirements and operating conditions enabling our manufacturing plant to produce a unique sealant to meet specific and individual demands. Tyroseal is the ideal product to assist operators to address the current E.M. tyre crisis by reducing punctures and puncture related downtime thus extending the life of their tyres. THOUSAND’S OF POUNDS EVERY YEAR. Tyroseal has been extensively researched and tested. It is a major breakthrough in road safety technology and can be professionally installed into any pneumatic tyre. 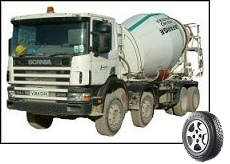 It is suitable for all applications LGV’s, buses & coaches, plant & machinery, industrial equipment and agricultural vehicles where puncture protection is required. TYROSEAL IS SUPPORTED BY A FULL NO NONSENSE GUARANTEE.